I have been working in the customer service industry for as long as I can remember. From retail to hospitality to managing events & social media, I have always had a passion for working with people. I was born and raised in the Halton region and attended Dalhousie University in Halifax, NS. The past two years I have been working and traveling Australia where I managed a fast-paced upbeat restaurant. I was leading a team of 25 individuals and responsible for each individual achieving sales goals and reaching daily targets. In addition, I was also in continuous contact with our clients ensuring that each guest experience was outstanding. Along side my hospitality service skills, I was in command of all social media platforms for the restaurant. In todays fast paced technological world, keeping up with current trends and having a strong online presence is key to building and marking your business brand. With the knowledge gained from managing large social platforms and working with people on a daily basis, it was an easy transition into the real estate industry. Social media is a powerful tool so there is no doubt that every real estate professional should be online and visible to their clients. 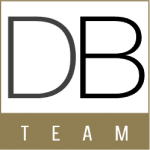 Through strong visual and written communication skills, I am an able to set trends, advertise, promote and help grow businesses online, and in turn strengthen the Deborah Brown Team’s online connections with past, current and potential clients!